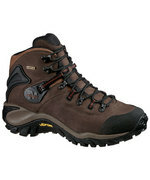 ALL MERRELL FOOTWEAR SHIPS FREE PURCHASED ON OUR WEBSITE! Great boot, keeps my feet dry and gives good ankle support. Molnar Outdoors has a great selection and friendly staff. Check out the sock wall!